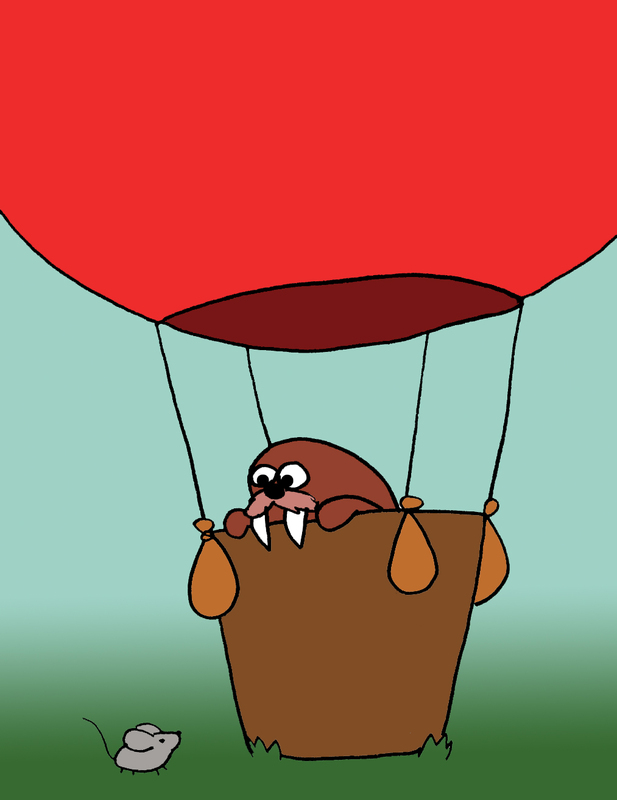 One day, the Walrus and the Dormouse decided to have a hot air balloon race to see who was better at winning hot air balloon races. 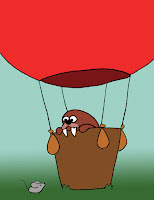 The Walrus, however, was too heavy to get his balloon off the ground and the Dormouse was too short to reach the controls. So they decided to forget the race and just go to the Walrus's house and play Candy Land instead. MORAL: It's really hard to fly a hot air balloon. The Wind said to the Duck one day, "You think you are very fine and clever because you can fly. But without me, you could never get up off the ground!" 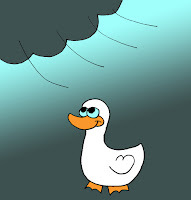 And the Duck said, "Yes, you're right. Thanks, Wind." "You're welcome," said the Wind. MORAL: Always say thank you. 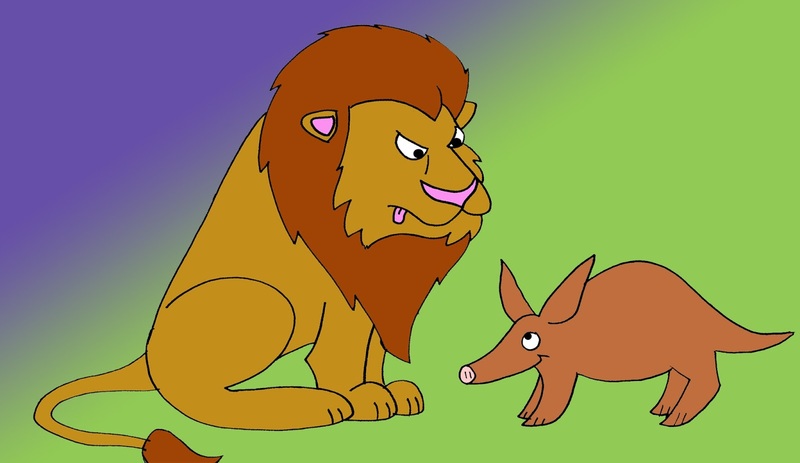 Once, the animals of the forest got tired of being ruled by the Lion. They wanted someone else to be the King of Beasts. The Aardvark felt that he was the best-suited for the job, so he went to the Lion's cave to explain why he thought he would be a better king. He brought an easel, cited his sources and even had a pie chart made to illustrate his case. When he was done, the Lion thanked him for stating his argument so clearly...then he ate him and stayed King of the Beasts forever. There was once a nearsighted Elephant who put an ad in the paper for a seeing-eye dog. A farsighted Frog misread the ad and thought he was looking for a seeing-eye frog. 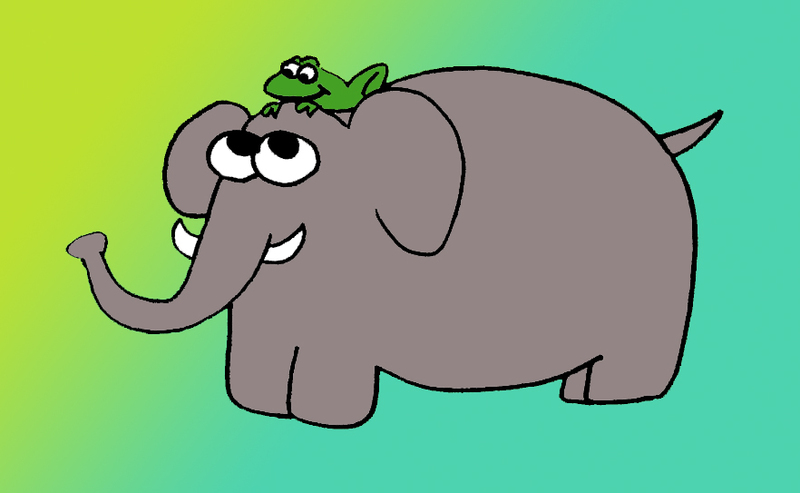 Well, no one else answered the ad, so the Elephant decided to give the Frog a shot. Between the two of them, they could see just about everything, so they made a pretty good team. They even went out for their local baseball team together and hit the game-winning home run! MORAL: If you can't do it on your own, get help from a frog. 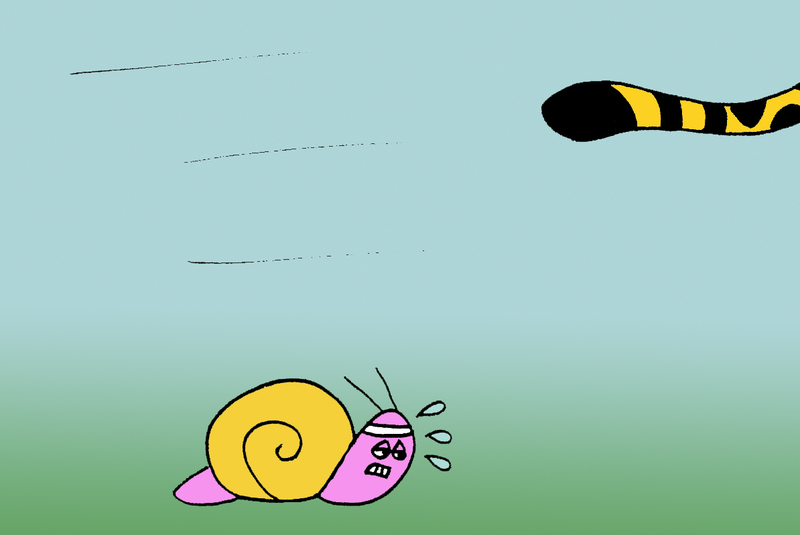 The Cheetah and the Snail had a race. The Cheetah won. Of course. Because Cheetah's are very fast and snails can barely move at all. MORAL: Slow and steady do NOT win the race. Going fast wins the race. That's the whole point of having a race is to see who can go the fastest. If you're ever in a race, for heaven's sake don't go slow! Okay, it's starting to look like there may have been a good reason why these fables have been lost for all these years. Sorry to waste your time with this rubbish.